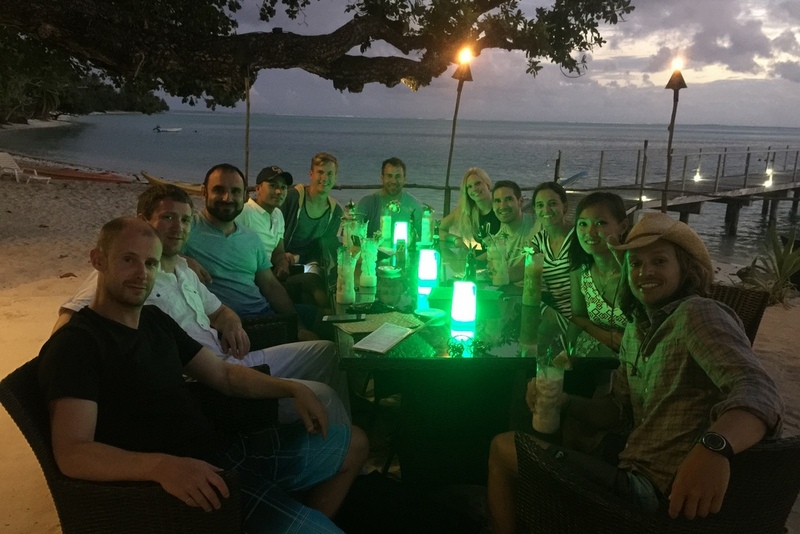 The 12 hour overnight leg from Moorea to Huahine was a test of our sailing capabilities. To be honest, it was easier than I expected, considering that none of us had sailed at night nor done anything different from ‘line of sight sailing’ (where you can see where you’re heading), before preparing for this trip. We weighed anchor from Moorea’s Opunohu Bay right before sunset, to be sure to cross the reef with enough visibility. Once in open ocean, the night fell quickly, and the pitch darkness was only broken by the position lights of our catamaran and the handful of other sailboats doing the same passage. Our skippers, Erica, Brett and Trey seemed to have everything under control, and we organized double shifts to keep them awake and in good company. 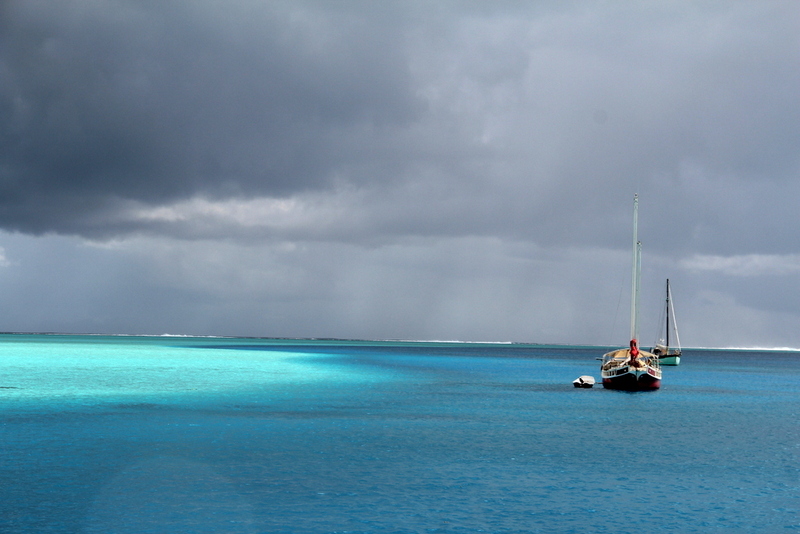 We took it slow, and arrived in Huahine when the sun was up, again to find the reef opening safely. 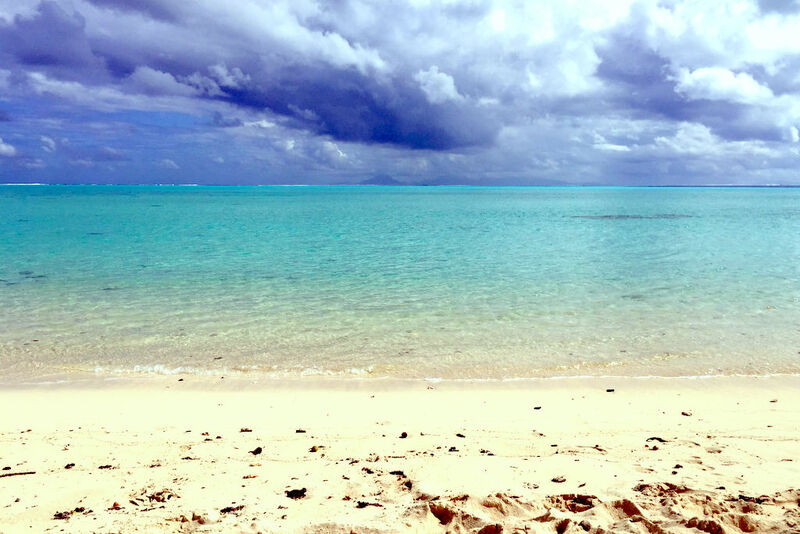 Huahine is known to have the best beaches in French Polynesia. The stretch of sand in the southern peninsula, by Avea Bay, is particularly nice. 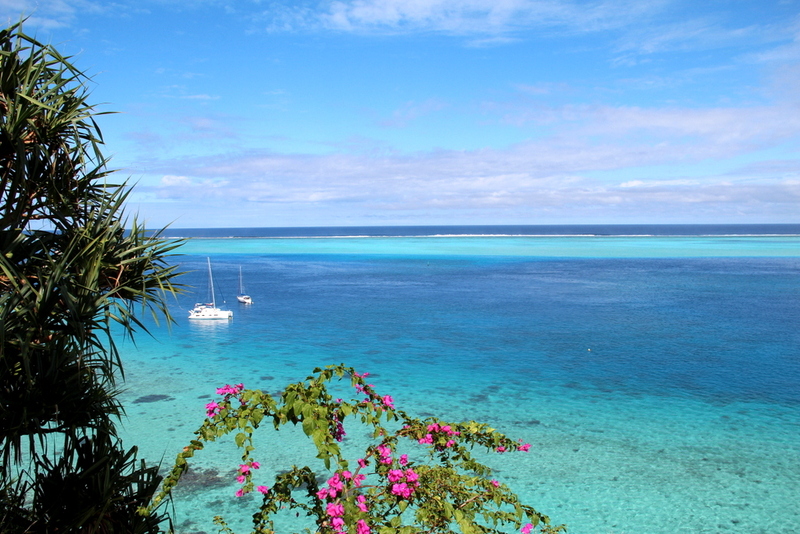 We anchored at the Relais Mahana resort, and planned to spend a relaxed day with little movement. The long stretch of soft sand and the wide lagoon were particularly great for swimming. There was also some good snorkeling from the beach itself (walking east to the rocks), and some amazing snorkeling on the reef wall. A few of us took the dinghy to head there and we experienced one of those magic moments that only occur when you’re travelling… as we approached the waves breaking on the reef, a bright double rainbow appeared in front of us and schools of flying fish started jumping around us. We jumped into the water, holding to the dinghy rope to drift with it, and found ourselves in an aquarium full of colorful, tropical fish… Our GoPro was out of battery, so sometimes I wonder if all this really happened or I dreamt it. At night, we enjoyed a yummy group dinner and cocktails at the resort restaurant, which was a nice break from cooking simple dishes on the boat. 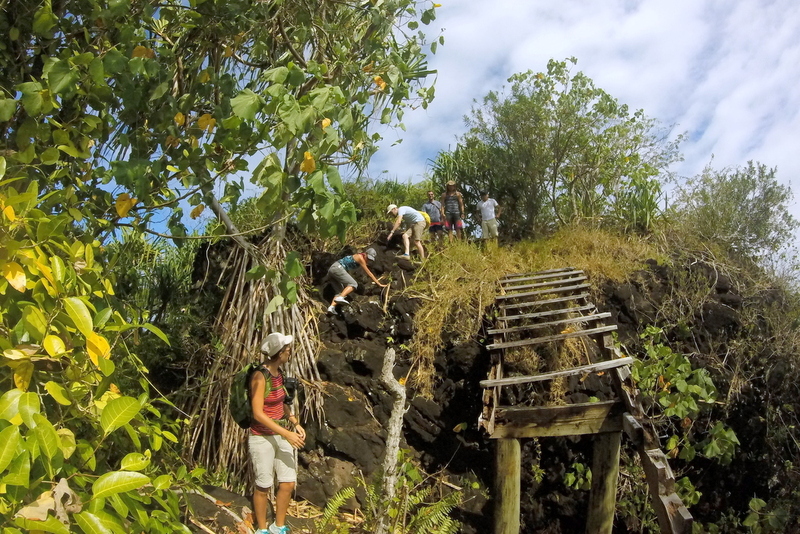 The next morning we motored west to Hana Iti for a short hike. We tied the dinghy at the beach and ran into a local who explained to us where to get the best views. We walked on worn paths, left over from the hotel destroyed in a storm years ago, and climbed up on rocks to avoid the damaged stairs. Up on the south end of the ridge, the views of the lagoon, with its different shades of blue, and our white catamaran quiet in the center were magnificent. On the north side, we could see the bays that split Huahine Nui (the big island) from Huahine Iti (the small one). On the way back, we got temporarily lost in the jungle and scared by giant crabs. The hike was fun and rewarding for little effort – highly recommended! Hi! Found your blog while looking for hikes around huahine.. seems there aren’t too many.. it’s a long shot but do you recall where you found the trail head for your hike? I appreciate it! Thank you! It was by an abandoned resort… you gotta ask some local or your boat charter company!